Lock in a great price for Rena Bianca Suite – rated 8.5 by recent guests! Brand new, clean, great location, very helpful and friendly staff. My partner and I spent 5 nights in this residence. Staff was great, as well as the accommodation. Perfect location, few minutes walking from the breathtaking beach and the city centre. The only cons is definitely the lack of WiFi in the room (but it’s available at the reception). The view from the room is nice, looks over the town and some of the beach. The room is fairly basic but It was relatively clean and comfortable. Only a short walk from the town centre. Great location! We had a seaview with a lovely Terrance. There was a buskers festival on when we visited, perfect evening entertainment. Big balcony with lovely view of Rena Bianca beach. Very nice comfortable room. Convenient for all restaurants and shops in the town centre. Staff delightful. An excellent place to stay! Good location with a short distance to the beach and city center. Great balcony with sea view. The room itself was clean and spacious. Great sea view, very friendly stuff (they have always been happy to help), good balcony and big bathroom. I liked the location. Close to city center, beach. Läget. Tyst i området. Rent och fräscht . Bra parkering för bilen. One of our best sellers in Santa Teresa Gallura! A 5-minute walk from the beautiful Rena Bianca sandy beach, Rena Bianca Suite offers spacious air-conditioned rooms with a balcony. 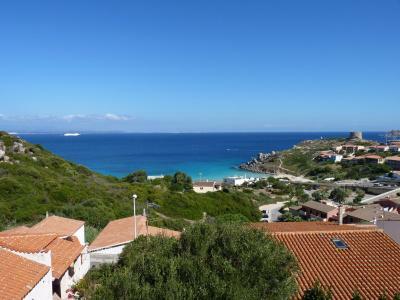 This guest house is in the historical center of Santa Teresa di Gallura, Sardinia. 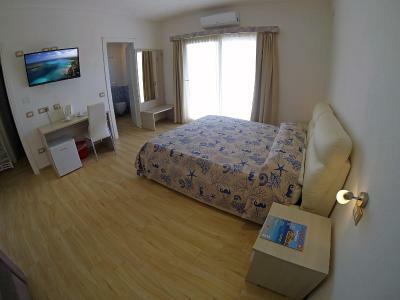 Rooms are fitted with parquet floors, a desk and mini fridge, and overlook either the sea and Strait of Bonifacio or the town of Santa Teresa di Gallura. 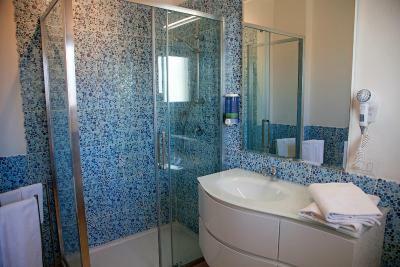 Toiletries and a hairdryer are included in the modern private bathroom. Guests at the Suite Rena Bianca enjoy free WiFi in public areas. The property is located on an apartment complex. The property is 1,150 feet from many restaurants. Olbia Costa Smeralda Airport can be reached by car in 1 hour. 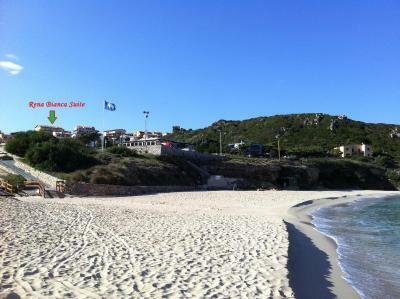 This property is also rated for the best value in Santa Teresa Gallura! Guests are getting more for their money when compared to other properties in this city. 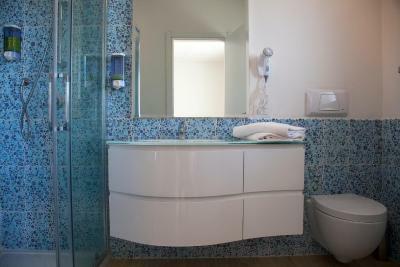 When would you like to stay at Rena Bianca Suite? Offering views of the sea and Strait of Bonifacio, this spacious air-conditioned room has a balcony, parquet floors and a mini fridge. 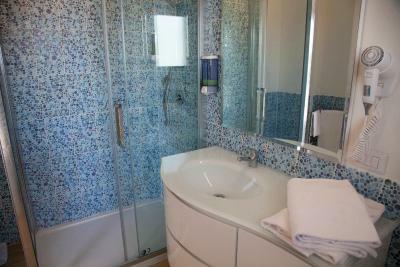 The modern private bathroom has a hairdryer and toiletries. Offering views of the town of Santa Teresa di Gallura, this spacious air-conditioned room has a balcony, parquet floors and a mini fridge. The modern private bathroom has a hairdryer and toiletries. This double room has a balcony, private entrance and microwave. House Rules Rena Bianca Suite takes special requests – add in the next step! Rena Bianca Suite accepts these cards and reserves the right to temporarily hold an amount prior to arrival. 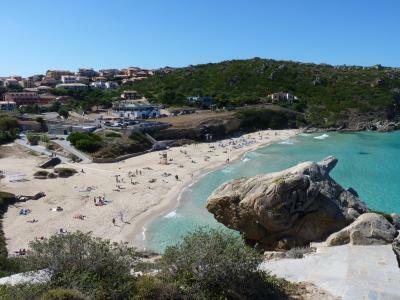 Please note that check-in and key collection take place at: Via Capo Testa, 30, Santa Teresa di Gallura 07028. Please inform Rena Bianca Suite of your expected arrival time in advance. You can use the Special Requests box when booking, or contact the property directly using the contact details in your confirmation. Since it was more like an apartment building, equipment for eating could have been a bit more, e.g. plates, bowls, cutlery. There was a noisy construction work in the adjacent building first 4 days of our stay but then manager allowed us to move to the room with sea view. Staff were more interested in their phone calls then their guests. It's a shame there is no wifi in the room. There was no wi-fi, only wi-fi helds a reservacion/chek in office about 100 meters away from the suites. I checked jes for wi-fi when shearching for accomodation. Knowing there is non in the rooms i would pick something else. Some neighbours (not on the same property so outside the control of the staff) played loud live music on a couple of afternoons.